Two states, both alike in dignity, vying for one car company. On one side of the border was Toledo, Ohio; on the other, the industrial plains of Michigan. Caught in between was Chrysler, in search of a home for its new Jeep factory. The auto manufacturer already had an assembly plant in Toledo, but the year was 1995, and they were looking to replace their old model with an updated one. The only trouble was deciding where to put it. To convince Jeep to stay, Ohio played hardball. In all, the state offered $280 million in incentives for the $1.2 billion Chrysler committed to bring in. Deals like this one are all too familiar today. Twenty years later, one of the highest-stakes economic incentive horse races is playing out before the public eye, as hundreds of cities and states vie for Amazon&apos;s second headquarters. 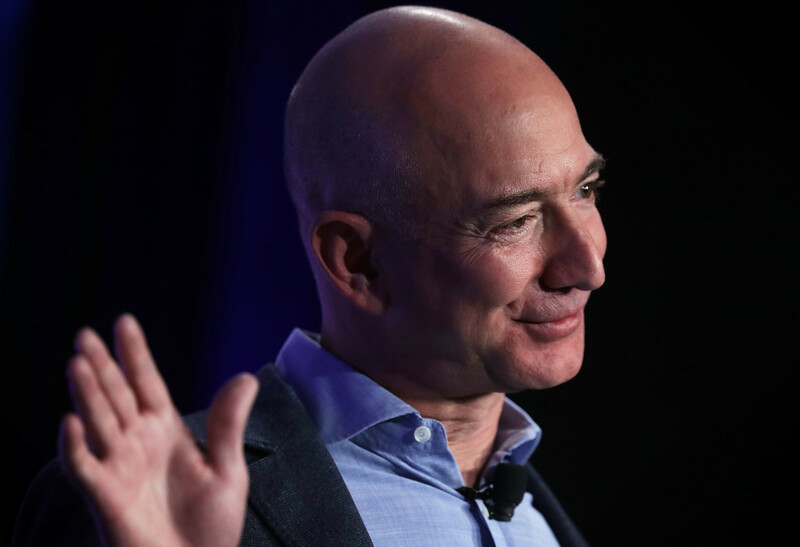 The tax breaks, real estate deals, and other special incentives governments are willing to offer Amazon have been characterized by critics as "corporate welfare," offering more to the company than the community. 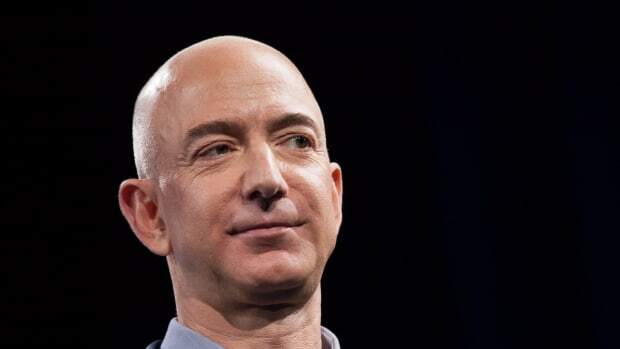 "Amazon has proved it, probably on steroids, that when businesses like that say jump, the states will say, how high," said Jack Markell, former governor of Delaware and a vocal incentive detractor. The most ardent opponents believe they have a legal case to get rid of bidding wars altogether, arguing that offering incentives locally violates the Constitution&apos;s commerce clause. "One of the things that has been clear pretty much [since the Constitution&apos;s inception] was that states can&apos;t use regulatory powers to discriminate in favor of in-state economic activity and against out-of-state economic activity," said Northeastern University law professor and attorney Peter Enrich. There was a time when this argument took Toledo residents to the Supreme Court, in a case against DaimlerChrysler that was later dismissed on procedural grounds. Other legal challenges raised since have not found success in front of judges. And a 1999 proposal in Congress that would have mounted federal roadblocks to these payouts never won bipartisan support. Still, economists and politicians have stood by the rationale underpinning their challenges. 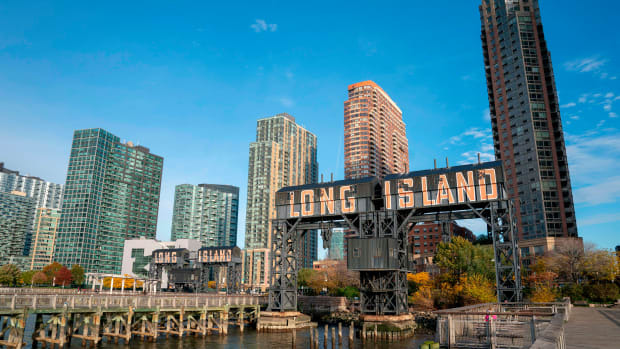 In recent years, scrutiny over bidding wars like the one playing out now for Amazon&apos;s HQ2 have focused on the states and localities offering the deals. But what if incentives packages could be curbed by the courts or Congress instead? Around the time Ohio officials were scrambling to keep Chrysler in-state, Enrich published an essay in the Harvard Law Review, "Saving the States From Themselves." It argued that the act of giving out economic incentives violated the Constitution&apos;s commerce clause, which allocates power to the federal government—and, by extension, not states or cities—to regulate commerce between multiple states. The clause has been used, for example, to invalidate a Massachusetts state tax on milk that the Supreme Court said discriminated against non-Massachusetts citizens. Before the Constitution replaced the Articles of Confederation, states acted as sovereign entities, fighting for in-state economic development by imposing tariffs on imports from other states. "Those tariff wars were creating a great deal of friction," Enrich noted—a friction that was said to be one of the primary reasons to convene the Constitutional Convention, which in turn led founding fathers to draft the Constitution as we now know it. The same argument that compelled Madison and Hamilton could be used today, Enrich argued in the paper, to restrain "the states&apos; attempts to influence business location decisions through the use of tax incentives." AN ELECTION SEASON CONVERSATION WITH RALPH NADER, THE NATION’S NO. 1 PUBLIC-INTEREST CRUSADER: "America, you are asleep." Enrich&apos;s article caught the eye of former presidential candidate Ralph Nader, who at the time was working with local activists to fight the state of Ohio over its dealings with Chrysler for different, environmental reasons. The Ohio case was the perfect testing ground for Enrich&apos;s argument, he realized. "I saw that states, in a race to the bottom, were throwing freebies around," said Nader, in deals that, opponents were realizing, offered so much to corporations that it could eclipse any financial benefit of bringing the company there in the first place. "It&apos;s like a corporate emperor on top of the mountain asking the vassals and the serfs to offer what they can." Among the incentives Ohio was offering Chrysler was a new investment tax credit that allowed the car company to get back 13.5 percent of their investment to be used for the purchase of new manufacturing equipment, reducing their corporate tax liability for a 10-year period. Nader got involved because "Chrysler was shaking down Toledo and Ohio—and they were not that upset about being shaken down." So together, they ran with it. Charlotte Cuno, a paralegal from West Toledo, Ohio, acted as plaintiff in the case, eventually called DaimlerChrysler v. Cuno. She stood with 18 other Toledo residents and small business owners who claimed their own taxes were raised as a result of Chrysler&apos;s lowered ones. The plant opened in 2001, as the case ascended up—and down, and up—the courts. In 2004, Nader stood in front of the 6th U.S. Court of Appeals in Cincinnati and proclaimed that this credit rewarded "companies that make significant investments in Ohio while offering no such break if a company expanded in another state." Ohio and DaimlerChrysler argued that cities and states had a right to defend their own economic development and improve depressed neighborhoods by offering attractive benefits to companies. The court—the highest U.S. court before the Supreme Court—agreed with Nader and ruled that the investment tax credit was unconstitutional. "While we may be sympathetic to efforts by the City of Toledo to attract industry into its economically depressed areas, we conclude that Ohio&apos;s investment tax credit cannot be upheld under the Commerce Clause of the United States Constitution," the decision stated. But Ohio and DaimlerChrysler appealed the ruling to the U.S. Supreme Court. In 2006, the justices dismissed the case on a procedural flaw: The plaintiffs did not have standing to sue, meaning they could not be injured by the policy. The justices never ruled on whether incentives violate the Constitution, but the case was over. "It&apos;s really tragic, because look how long it&apos;s been. They haven&apos;t had another case coming up because of the standing problem," Nader said. "It&apos;s a specious way to ... allow the judiciary to escape its responsibilities." Nader faced the procedural problem of "standing" because the court was not convinced that individual taxpayers were the right parties to sue over incentives policies. If states and localities were to sue, there is a good chance they wouldn&apos;t face the same procedural hurdle. The problem is, they&apos;d have to believe suing was in their own interests, and many governments are politically compelled to defend their right to draw jobs to their own jurisdiction. "The politics of this are kind of bizarre," Enrich said. "The business community has every interest in their ability to get the states to compete against one another, and the voices of state government leadership have tended to like to preserve their ability to engage in this competition." On one level, he says, the governments offering these incentives understand it&apos;s a zero-sum game—one that&apos;s hurting states collectively. But as a political measure, Democrats and Republicans alike want to be able to show constituents that they&apos;re taking, and creating, economic opportunities. In 2008, Enrich thought he finally had another opportunity to test his legal theory when the ABC television series Ugly Bettymoved from Los Angeles to New York City to chase New York&apos;s generous film tax credit, freshly signed by the governor. The trip made the show more authentic (Betty was always supposed to be from Queens), but much of the L.A. film crew lost their jobs. Frustrated union groups lobbied then-California Governor Arnold Schwarzenegger to create new tax initiatives in the state. They also expressed interest in bringing a suit against New York, for distorting the market decision from all the way across the country. A case was never filed. Enrich said the problem was that he couldn&apos;t find a credible New York law firm to work on the case: All of them had interests wrapped up in the film tax. Other battles, litigated scattershot across the country, have gained traction only to flounder. In 2007, Minnesota taxpayers fought the state for creating a new, aggressive tax incentive program called JOBZ, again citing the U.S. Constitution&apos;s dormant commerce clause as well as the state of Minnesota&apos;s own Constitution, which calls for uniform taxation. Olson v. Minnesota was dismissed in the Minnesota Court of Appeals, foiled by the same argument over standing that broke Cuno. It&apos;s still plausible that a court would find these incentives do violate the Constitution, if a plaintiff could get past the procedural obstacles. But opponents of economic incentives have turned to other forms of policy change they view as potentially more realistic and impactful. Art Rolnick, a University of Minnesota economist who has delivered frequent testimonies against economic incentives, proposes a top-level change to the Internal Revenue Code. In the 1990s, he partnered with Representative David Minge of Minnesota and fellow economists at the University of Minnesota to draft the Distorting Subsidies Limitation Act of 1999. The bill, proposed in the House of Representatives in 1999, outlined how the federal government itself can simply strip all the economic benefit from these deals by levying a confiscatory tax of 100 percent on any money the company receives from a state in the form of incentives. Other incentives would still be fair game: Cities could give away property and workforce development grants; they could still promise to improve infrastructure. They would just be deterred from explicitly offering huge tax breaks, because the value of those offerings would be moot. Every time an official starts dangling million-dollar deals now, they are effectively distorting the market decision, Rolnick says. "For example, maybe a company&apos;s best location is in Wisconsin but because New Jersey outbids them, [the company] ends up in a second-best location from an economic point of view," he said. Competition between states doesn&apos;t foster a net increase in U.S. employment, he explains, so even when motivated by a desire for "Jobs, Jobs, Jobs!" bidding wars don&apos;t make sense. "For the state itself, this might be a good bet. But from a national perspective, suppose we didn&apos;t allow the bidding war at all. Let&apos;s say they would have located in California or New Jersey—they would have created those jobs no matter what," he said. Representative Minge sponsored the House bill to eliminate incentives in 1999, where it died. Rolnick says then-Senator Paul Wellstone of Minnesota wanted to introduce it in the Senate, but he never did. Since the turn of the century, iterations of the bill have gained wavering, flip-flopping support among primarily Minnesotan lawmakers, but nothing has stuck. Rolnick says former Minnesota Senator Al Franken expressed interest in championing something like it—so fervently that Senator Amy Klobuchar, who Rolnick says also supported the bill, decided to "just let Al [Franken] run with it." Now that Franken has resigned from Congress amid sexual harassment allegations, Rolnick needs a new ally—perhaps in Klobuchar. Klobuchar did not respond to a request for comment. "The politics of it has played out that with the strong business community opposition, and at the very best a kind of ambivalence ... on the other side, the politics are lousy," Enrich said. Governors and state legislators are also often generally nervous about interfering with state tax policy. Recently, however, Jack Markell, the former Democratic governor of Delaware, began to champion a similar proposal, which he outlined in the New York Times in September of 2017. "Congress should institute a federal tax of 100 percent on every dollar a business receives in state or local incentives that are directed specifically to that company," he wrote, noting a number of exceptions for investments that benefit taxpayers. Short of congressional intervention, Markell does not see reform as feasible. "It would be better for everybody if you put an end to these incentives—but it&apos;s incredibly unlikely that all 50 governors will agree," he told CityLab. "As long as one doesn&apos;t, the only way to credibly fix it would be if these incentives are taxed at 100 percent [by the federal government]." Markell offered incentive packages to companies when he was governor, and he doesn&apos;t fault other governors for doing the same. "You can&apos;t sit back and say you&apos;re not interested in these jobs," he said. "The employers have all the leverage." The Amazon bidding war could have been the catalyst backers of a bill like this were looking for. 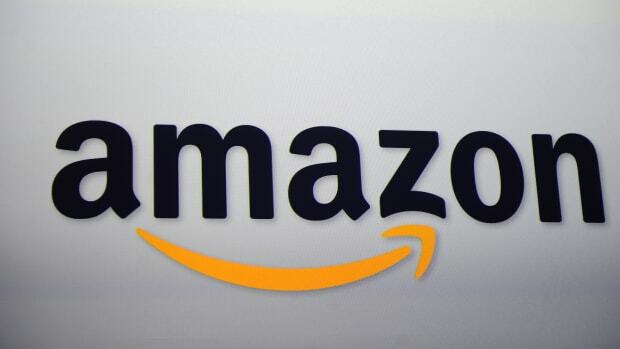 "Of all those offers [made to Amazon] there&apos;s one obvious one that should have been made and it should have come from Congress," Rolnick said. "Now if that offer were on the table it would end it, it would end the bidding war. 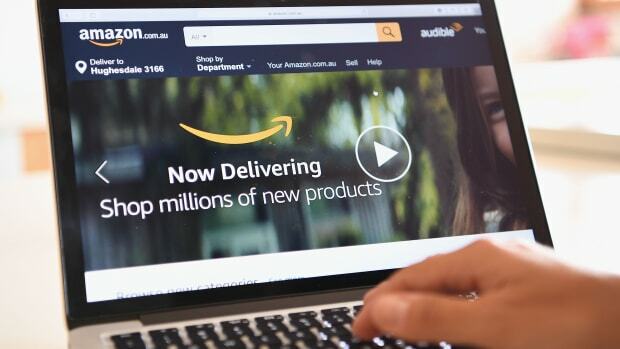 Then Amazon would simply base its decision on where location is best for business." Even Enrich concedes that there is little being invested in trying to pass that kind of legislation or uphold another constitutional challenge, relative to what it would take to overcome the interests of corporations like Jeep, DaimlerChrysler, Boeing, Foxconn. "I&apos;m frankly not out there actively making the case at this point, and I&apos;m not sure if anyone else is," Enrich said. 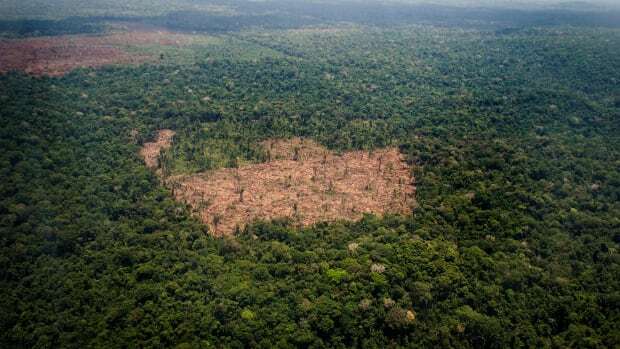 But while legal and federal avenues have hit dead ends before, the merits of the case against economic incentives have not yet been disproved. The court&apos;s decision in Ohio still hangs heavy with legal precedent: DaimlerChrysler v. Cuno is now a key text in some law schools. And Rolnick ended our phone call with renewed intent to "get Klobuchar on the bandwagon," and introduce another, revamped bill. Under the spotlight aimed by HQ2, the war on bidding wars might have found another opening. 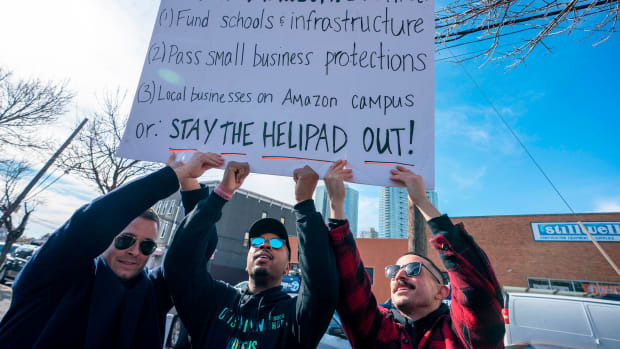 At a rally on Wednesday, local politicians and activists excoriated Governor Andrew Cuomo for offering Amazon massive subsidies that could have gone to schools.